Garrott Dermatology’s store offers you the best dermatologist-approved products so you do not have to navigate the skincare aisle at your local supermarket. These products meet global standards in safety and efficacy. They are strongly recommended by our doctors, who have considerable experience treating patients with varying levels of tolerance to allergens. Our staff will be pleased to provide you with extensive product information to help you with your purchase decisions. If you wish to hear from our staff or receive doctor’s advice, please leave us a message using the message box and we will respond to you at the earliest. Our top picks are listed below. Under the guidance of Dr. Zein Obagi, ZO Skin Health, Inc. has developed a wide spectrum of therapeutic treatments, as well as daily and preventative solutions for creating and maintaining healthy skin. For over three decades, Dr. Zein Obagi defined the concept of skin health and developed truly effective skincare treatments and programs. 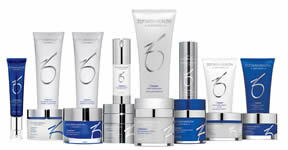 Now with the introduction of ZO® Medical products, Dr. Obagi’s next generation of therapeutic skincare products and treatments are exclusively available through skin health professionals. Schedule an appointment today with us. IMAGE Skincare, a professional corporation, is dedicated to providing customers with the highest integrity of service, professional products, and continuing education in the field of skincare and esthetic procedures. We currently stock a majority of their skincare lines, including Ageless, Iluma, Vital C, and many more. 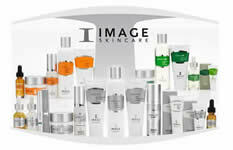 Call and schedule your consultation with our nurse practitioner today for more information on IMAGE skincare products. You can also visit their website for more details on all their products. For more than 25 years, EltaMD has developed wound healing sunscreens and skin care products. They are widely used and recommended by dermatologists and other medical professionals, including hospitals, burn centers, rehabilitation clinics, and long-term and short-term care centers. EltaMD has created innovative products that help restore, protect, and maintain healthy skin. EltaMD sunscreen products are sold exclusively at physicians’ offices, schedule your consultation and come by today! For more than 4,000 years, the goji berry has been revered in Chinese medicine for its ability to promote health and longevity. After more than six years of research and 50 clinical trials to test the powerful antioxidant effects and anti-aging effects of goji, L’dara’s scientific team has formulated some of the top compounds in the nutritional skin care industry. To find out more and purchase the products, schedule an appointment.